Does your office environment need sprucing up with a fresh coat of paint? Perhaps your factory or industrial premises is looking a little shabby and in need of a refurbishment? Have you just built a brand new commercial building, such as a shop fitout, and are looking for commercial painters to give it that final quality touch and bring it all to life? Or maybe your commercial property has suffered some unfortunate damage and needs some insurance repairs and touch ups? 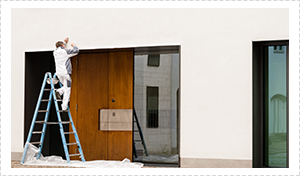 Experience is very hard to beat when it comes to commercial painting, and with over 30 years commercial painting experience, DR Paint is one of the most qualified commercial painters in the Brisbane district. Commercial painters are a specialist breed, as this type of painting can offer different challenges and techniques as compared to residential painting projects. The tasks are sometimes on a larger scale and you need a painter who is not overwhelmed by the job at hand. Another very important factor to consider when deciding to paint a commercial premises – such as within a factory environment or an office – is the possible disruption to the work flow. Ideally this needs to be kept to an absolute minimum so you can get on with business as usual. This is where Doctor Paint – a fast and efficient painter – can race in and get the job done with a minimum of downtime for your operation. That’s not to say the quality of workmanship will be comprised in any way. Far from it. I take pride in my work as I treat it as a craft more than just a trade. I’ve been painting Brisbane’s properties since the year 2000 and much of my business comes from recommendations and word of mouth referrals. Satisfied customers means more work, and that’s what my business thrives on. 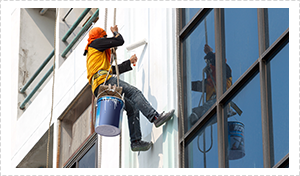 For commercial painters Brisbane DR Paint can cover it all. With quality materials, efficient, reliable and skilled workmanship and customer service, the Doctor truly delivers. I haven’t survived for 30 years in the painting trade by some fluke, and commercial painting has always been a key component to my arsenal. I utilise the best painting equipment and the most current painting methods to breathe new life into your commercial premises, and I firmly believe in always offering my customers real value for money; not just with competitive pricing, but by also being willing to go the extra mile for my clients and striving to exceed their expectations. If what I do can put a smile on your face at the end of the day, then I know I’ve done my job right. Painting may not be rocket science, but there is definitely an art to the craft. Not everyone can do it well. So whether it is a retail refurbishment, an office paint, a touch up to your factory, concrete tilt slab walls or a new paint job for your premises, for commercial painters Doctor Paint is the man for the job. Quotes are free and I’m happy to take on any job on the south side of Brisbane.